Safari Africa touches something deep inside you. Maybe it’s in our DNA. Our limbic memory, reaching back to our ancient ancestors. At 6,500 feet above sea level, we watch as a large family of elephants – from giant towering mothers to infants a few months old, secured under their mother’s sheltering bellies as they splash, cool themselves, and drink from the water hole at the crest of the ridge. On the hillside nearby, a massive elephant bull, easily weighing in at seven tons, strolls purposefully to an acacia tree for a meal. Steep hillsides slant down on either side, the Tsavo Valley extending beyond forever in each direction. Curling slowly up the ravine on the left, hundreds of water buffalo slowly wind their way upward. So primordial. I’ve never seen this before – except on film -yet it feels so familiar. So right. 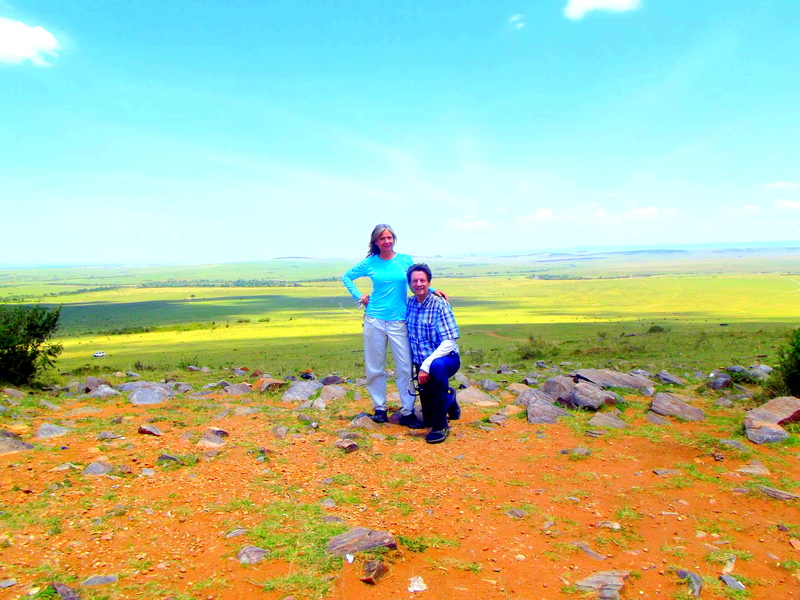 Greg and I have been on safari and adventure in Kenya – closing in now on about three weeks. In that time we have traveled with our guide to what must be at least half a dozen national parks or reserves, a different lodge or tent cabin just about every night. I’ve learned to live out of a suitcase like never before, and have learned to love it. We’ve all heard the stories of elephant intelligence, sense of community, and caring family group loyalty. Seeing it manifested just a few feet away – over and over again over the course of three weeks – is a startlingly touching experience. We watched as at this same watering hole mentioned above, another family approached. Three adult elephants in the first group orchestrated a protective barrier around one of the youngest elephants by gracefully moving into formation with the baby shielded in the center as they turned their faces outward to form a protective watch. We have pictures of this event somewhere in our cameras – I’ll find it and post it for you in a follow up article. We learned more than we every knew – and probably just touched the surface – of the many uses elephants make of their trunks. A sensitive touch and smelling tool, seeing them do everything with their trunks from caressing their young and close family members to yanking up grass to eat gave endless hours of fascinating, enjoyment. For example, they have multiple ways of approaching a tuft of tasty greens. If in the mud, they’ll pull up a trunkful and shake the mud off of the delicate roots by hitting them softly against a leg. And if they can’t get the tuft up with a tug, they’ll grasp the grass bunch in their trunk and use a foot to give a swift little kick to break the grass from the ground. And multi-ton elephants are so light on their feet! You can barely hear them shuffling through the dirt as each foot lands as if upon velvet. 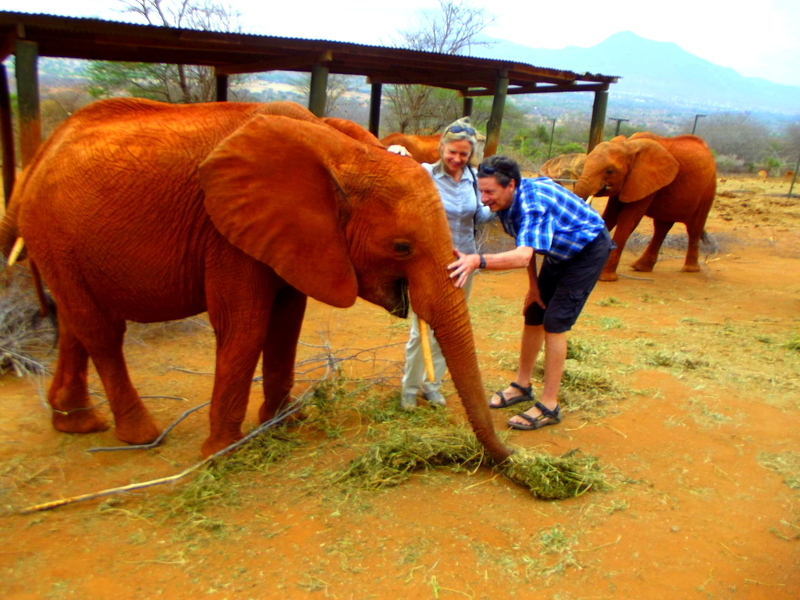 Before we embarked on the journey to the bush, we had the long-anticipated and exciting experience of visiting the David Sheldrick Elephant Orphanage where we were able to meet the elephant we have fostered, Mbegu. Here is the film my favorite videographer Greg made of the event – he tells Mbebu’s story, too. With a few more days of adventure, we have more film and photos and stories to tell. Stories of beauty and wonder. We encountered more wildlife within arms reach than we every imagined possible. Such as the time we came upon four bachelor lions stalking a group of mountainous water buffalo, who turned and charged the lions, chasing them down to the riverbed. Then the lions again circled, only to back off to the advances of the buffalo once again. This went on for over an hour, keeping us perched on our toes in our safarivehicle with its hatch popped so we could view from safety. This encounter ended in a draw – for now. Or what about thousands of wildebeast, running in undulation over the green grassy hills of the Maasai Mara River Valley, headed for the Serengeti? More pictures later. 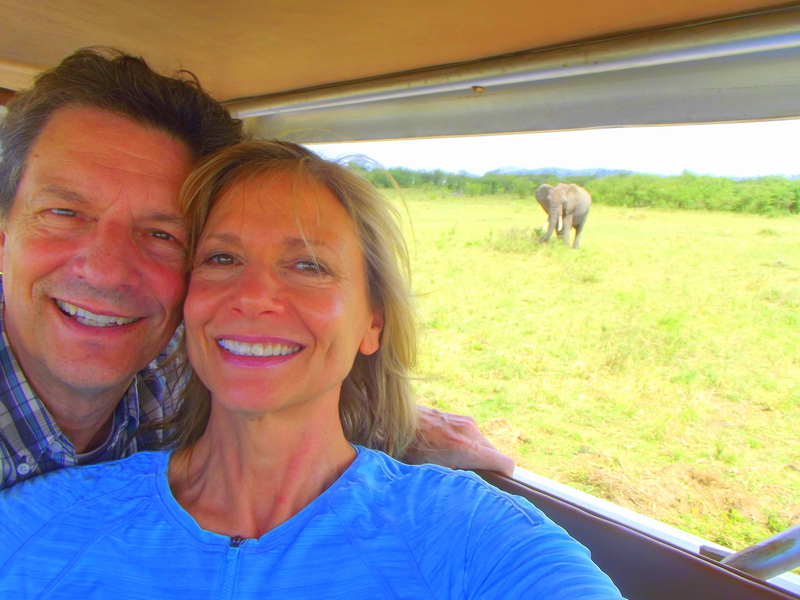 It’s time to head out for the day’s adventures – it looks like we have another opportunity to visit the elephant orphanage and can’t wait to go back. But I wanted to get this video to you as soon as possible. The environmental degradation from animal agriculture and the press of human population we’ve witnessed in our own country. Seeing it played out so graphically here in Kenya as well has been sobering. The current Kenya population is 44 million. Growing at the rate of 1 million a year, by 2050 the populaton is expected to be 100 million. On our travels from one wildlife area to the next, we witnessed the problems immediate to this burgeouning population. Everyone needs more space, more resources such as water and food, and more land. Maasai tradition – can it be sustained? The Maasai population is growing just as rapidly, and in all countries on the African continent. And the Maasai are fighting hard to maintain their tradition of pastoral living. That means herding cows, sheep, and goats to pasture – pasture that is rapidly disappearing and turning Kenya into a dustbowl. Traditions, as we all know, can be extremely difficult to change. Even when confronted with the impossibility of continuing with practices that come smack up against sustainability, humans don’t wanna do any differently than they always have. Not to cast a culturally disparaging eye on the Maasai – it is true of meat and dairy ranchers – and consumers – in our own country. It plays itself out in our dailyeating practices. We had several opportunities to speak personally with Maasai. Friendly and outgoing, each told a story of tribal pride, right down to mutliple wives, fleets of children, and the diet that we’ve all heard about in the literature. Somehow hearing it first hand from the Masai themselves delivered a new level of curiosity about how this diet came to be. For they literally live on blood and milk from their cattle, meat from goats and sheep, and the occasional scoop of ugali, the African version of polenta. As one Masai described to us, the cows are ‘bled’ by shooting a sharp arrow into the jugular vein of the cow’s neck. The blood is then gathered in a vessel and then consumed -often mixed with milk. I can’t help but wonder where in the course of human events someone came up with this as a dietary ideal. And I can’t help but wonder how in the heck their digestive systems manage to operate without fiber. Those questions aside, this long held dietary tradition shows no sign of change. In the research into Masai culture and tradition that I’ve been able to do while on safari, I’ve discovered the problem is even more complex than I thought. For according to Maasai legend and belief, it has been divinely ordained that the Maasai people not only herd and pasture cattle, goats and sheep for food, but that they not ‘disturb the soil’ by growing crops, as that would be potentially taking away pasture land from their livestock. And you know what happens when religious belief and tradition take hold – good luck inspiring any kind of change, even if imperative for long term survival. I don’t know what the answer is. I do know that for change to happen, economic advantage needs to be clearly connected with reducing animal agriculture use of lands – just as needs to be done in the United States. 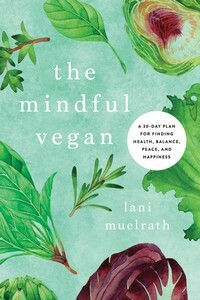 And I know that this entails eating less animal products, and increasing the role that plant foods play on our plates. The problems with animal agriculture and overpopulation everywhere are so enormous that it makes our preoccupations with a little salt or sugar on our food and our “cleanse” crazes absurdly self-absorbed. 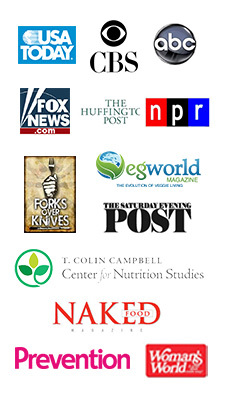 By taking a global view, we get some perspective about our dietary obsessions. All we really need to do is get behind a cause bigger than ourselves and throw our weight into being part of the solution rather than playing out mini-dramas with, for example, which green has more calcium than another. Just eat your plants and get on with it, knowing that what you put on your plate is the biggest way you impact these environmental issues. 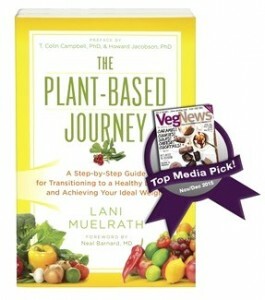 Support any change to plant-based eating that you can. Think outside your own immediate box and see what clarity it brings to your journey. Greg’s calling – it’s time to head out for the day’s safari – more adventures from Africa soon! That’s fantastic, Lani. I’m a supporter of that organization, and I’ve been following Mbegu’s story for awhile now. So wonderful you got to visit! I love that you stopped by and shared your thoughts – and that you know all about Sheldrick orphanage and even Mbegu! We went back to visit again and got some adorable video footage of her wallowing about in the mud having a ball while all the other elephant orphans were behaving themselves sipping from the water hole. What a good match for us, always a bit outside the norm! I have thought of you many times during this journey, knowing how much you would appreciate. 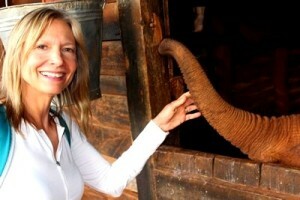 You and David must safari Africa! …a very beautiful, poignant, and hopeful video Greg. Of course, it was all I could do not to cry the ‘ugly’ tears. It’s horrific what Mbegu, and others, have been subjected to. I can only hope that Mbegu has a deeper understanding of why she lost her family, and is at peace with it. Bless You both! Sue, thank you so much and I’ve passed your lovely comments along to Greg. I agree, he does a beautiful job of telling a story with pictures and knows just how to weave in the facts and the text.